Selling your house is stressful enough, but to deal with a separation or divorce at the same time can really prove to be uncomfortable not to mention a stressful time. 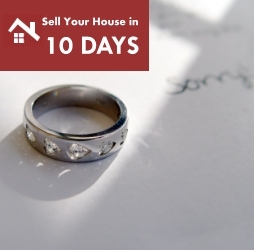 10 days offers to buy your house quickly and hassle free so that you can get your personal life back on track whatever the outcome may be. In some circumstances we may offer to let you rent your house and an option to buy back from us in the future once your situation has improved.